You want a little insight into me? Check out my latest Blooloop.com rant about the inaccuracy and overuse of the word 'wild'. It's controversial. I promise. My second Bemusement post for Blooloop is up and live here. Take a look and discover the growing trend that I feel will be one of the major innovations of zoos of the future. Mysterious enough for you? Here's a hint: I've brought it up several times on DZ before. 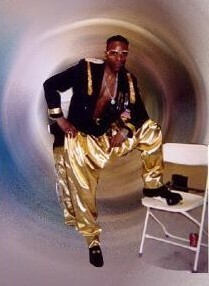 But this time, I used some really rad throwbacks as metaphors. Check it! Zoos have long been at the forefront of animal research, but only recently have they started conducting studies on another important but relatively overlooked species: their visitors. For decades, museums, science centers, theme parks and National Parks have been studying their visitors – long before the practice was seen as useful in the zoo world. Yet in this age of information, with competing attractions vying for attention, visitor studies are more useful than ever. Moreover, ever-accelerating technological advances and new methods of gathering and analyzing data have made it possible for Zoos to gain a greater understanding of their visitors than ever before. But more research on visitors is needed, generated not just by Zoos and their umbrella organizations (like the AZA) but also by zoo designers themselves. Why should zoos and related organizations study zoo visitors? Organizations (like the AZA and EAZA) that are dedicated to the advancement of zoos should use visitor studies to evaluate whether and how zoos are meeting the broad goals of conservation, research, education and recreation. The AZA recently conducted a broad, multi-institutional study, Why Zoos & Aquariums Matter: Assessing the Impact of a Visit to a Zoo or Aquarium (AZA, 2007), which focused on the impact of zoos on conservation knowledge, attitudes and behavior. In essence, such studies help justify the existence of zoos. Individual zoos, meanwhile, should study visitors to measure the impact of their messaging and to evaluate whether their institution is meeting its stated goals. And from a practical standpoint, zoos could use visitor studies to increase revenue generation and to improve the economics of zoo business. But what about the role of zoo designers? Traditionally, most visitor research has been conducted by the institutions themselves. Recently, however, designers are taking a more active role in studying how visitors behave in and respond to zoo exhibits. PGAV Destinations, for example has not only conducted market research on zoo visitors but has also sent its designers into the field to conduct timing and tracking studies on zoo visitors. Fueled with hard data and facts from their studies, designers are making more-informed decisions about exhibit design. Moreover, such studies can inform all stages of design, from early concept work and master planning to the detailed design of specific exhibit elements. Visitor studies allow designers to more-fully understand the impact of various factors on visitor behavior. For example: designers might test the impact of path width on crowd movements and density, or the correlation between the length of a viewing window and length of stay, and so on. Visitor studies also help set realistic expectations about visitor response to new exhibits (dwell time, level of engagement, etc.). In fact, the predictive power of visitor studies is arguably their most useful benefit. Visitor studies can be used not only to test design decisions and to determine the relative success of existing exhibits but also (and perhaps more importantly) to inform the design of future exhibits. Who can we learn from? Historically, museums, science centers and National Parks have conducted detailed visitor studies. In fact, much of the current information regarding visitor behavior is taken from the museum world, where researchers are constantly evaluating the success of their exhibitions. Further afield, researchers should learn not only from the work of traditional research outlets (like educational psychology, sociology, and environmental science) but also from more unexpected disciplines (like marketing and consumer research). As an example: one researcher noted the similarity of zoo visitor studies to his own research on shopping behavior in grocery stores (Yalowitz & Bronnenkant, 2009). Finally, Theme Parks and similar entertainment destinations – with particular strengths in quantifying visitor flow, tracking & timing, and revenue generation – are a vast and relatively untapped resource in the Zoo world. In the past couple of decades, Zoos have started conducting their own visitor studies. Organizations have begun compiling resources and developing literature reviews, like Visitor Learning in Zoos and Aquariums: A Literature Review (Dierking, Lynn, et al, 2001-2002). Of particular note is a recent, comprehensive, multi-institutional and cross-discipline effort by the EAZA to compile a list of relevant visitor studies: Looking at People Looking at Animals: An International Bibliography on Visitor Experience Studies and Exhibit Evaluation in Zoos and Aquariums (EAZA Education Committee, 2011). A particular strength of current studies is the focus on interpretation, education, and the impact of conservation messaging on zoo visitors. What Studies Should Be Conducted? Because of their unique position in the Zoo world, groups like the AZA and EAZA should be conducting visitor studies that play to their strengths as broad, multi-institutional organizations. Such groups should conduct more comprehensive, nationwide or international surveys that bridge the gaps between separate Zoos. These should include literature reviews, bibliographies, and cross-institutional visitor studies. Such studies would be particularly useful for comparing the relative success of exhibits at different institutions and for identifying key trends across several Zoos. They may also serve to establish methodological standards and to encourage Zoos to conduct more detailed studies of their own institutions. Zoos, meanwhile, should be harvesting a wealth of information about their visitors, with a particular focus on the unique circumstances at their specific institution. It is important for Zoos to understand what makes their zoo different from others – variables ranging from the demographic make-up of its visitors and its region to the institution’s focus, goals, strengths and challenges. What works at one Zoo (e.g. a new polar bear exhibit that draws new visitors by the thousands) does not always work at another. Uniquely positioned to study their visitors, Zoos should use all the resources at their disposal – from the ability to track operational data like hourly attendance and revenue to the dozens of staff and volunteers eager to help. But Zoos and their umbrella organizations are not the only groups who should study zoo visitors. Zoo designers should be conducting visitor studies as well. Such studies should be targeted and detailed, focusing on a specific factor, variable or design criteria the zoo designers wish to better understand through data and facts. For example, Zoo designers may wish to study the impact of exhibit temperature (say, at indoor cold-weather penguin exhibits) on dwell time, level of engagement, and walking speed. Or they may study the impact of the size of an underwater viewing window on the length of stay and the number of viewers the window can reasonably accommodate at any given time. Likewise for other factors like water clarity, animal activity, path width, type of interpretive elements, level of cultural theming, and the like. Studying the impact of specific design variables should inform future design decisions and lead to better understanding of what makes an exhibit successful. Tracking and timing studies – those that focus on factors like dwell time, crowd flow, level of engagement, etc. – are particularly useful for designers. But few zoo designers are currently studying visitors. Those that are have a distinct advantage over their counterparts. Despite the recent insurgence of zoo visitor studies, the field is plagued by a number of issues. Studies are done sporadically by separate institutions, which are sometimes reluctant to share their results. Those that are published are often difficult to compare, due to inconsistent criteria, small sample sizes, and idiosyncratic results (usually resulting from poor study design). This is particularly problematic when trying to evaluate the relative success of different exhibits at different institutions. Fortunately, several researchers have made recommendations regarding methodology and indicators for comparison – including dwell time and the Sweep Rate Index (SRI), which standardizes for different exhibit sizes (Yalowitz & Bronnenkant, 2009). A bigger issue may be that most of the current research is focused on visitor education, to the neglect of other, important areas. Though a lofty goal, Zoo visitor research should focus on more than just conservation messaging. Besides asking what their visitors are learning, Zoos should also ask questions like: “How can we improve the visitor experience beyond communicating our message? How well are we entertaining as well as educating? Are we generating sufficient revenue to meet our future goals?” Revenue generation, though perhaps less esteemed than interpretation and messaging, is absolutely essential for the Zoo to meet its other goals. Detailed visitor studies can inform everything, from dining menus and the location of food carts or retail (e.g. was that gift shop at the end of the exhibit useful? ), to opportunities for high-end experiences, like tours and one-on-one interactive experiences with animals. And most importantly, Zoos should be asking “What’s next?” and looking to the future, of not just their institution but of zoo design itself. Researchers of visitor behavior should look to the future for new ideas, including new methods of collecting and analyzing data. Technology is increasingly being used as a tool for understanding visitor behavior. Researchers can now use videotaping, hand-held digital devices or software systems for recording and analyzing data (including the Noldus Observer and the Museum Experience Recorder system). Taking this a step further, the Walt Disney Company has reportedly invested more than $1 billion on its so-called “Next Generation Experience” project, a technology and marketing initiative focused on detailed visitor tracking and data-mining. Soon, all visitors to Walt Disney World will wear RFID bracelets throughout the resort, allowing the company to collect detailed data on individual spending habits, crowd movements and more – a literal “marketing bonanza” (Garcia, 2013). What’s next? Eye-tracking software to analyze visitor interest (Ross & Wagner, 2012), or personalized itineraries that visitors can create on digital mobile devices? The possibilities are endless. Ultimately, designers should take a much greater role in conducting visitor studies. Designers may think they know what constitutes good zoo design, but they should confirm their assumptions and back them up with data and facts. The best way to do this is to conduct detailed studies of zoo visitors and factors that impact their designs. There is enormous potential to benefit from the wealth of information out there, just waiting to be collected, analyzed and understood. Designers should take the lead in studying the visitors that come to their Zoos. Association of Zoos & Aquariums. "Why Zoos & Aquariums Matter: Assessing the Impact of a Visit to a Zoo or Aquarium." 2007. Association of Zoos & Aquariums. Web. 27 December 2012. <http://www.aza.org/uploadedFiles/Education/why_zoos_matter.pdf>. Dierking, Lynn, et al. "Visitor Learning in Zoos and Aquariums: A Literature Review." 2001-2002. International Zoo Educators Association. Web. 27 December 2012. <http://www.izea.net/education/AZA-Visitor_Leaning_in_Zoos_Aquraiums_Literature_Review.pdf>. EAZA Education Committee. "Looking at People Looking at Animals: An International Bibliography on Visitor Experience Studies and Exhibit Evaluation in Zoos and Aquariums." February 2011. European Association of Zoos and Aquaria. Web. 27 December 2012. <http://www.eaza.net/activities/education/Documents/2011-02-10%20Visitor%20Studies%20Bibliography%20%20V0.3.pdf>. Francis, David, Maggie Esson and Andrew Moss. "Following Visitors and What It Tells Us: The Use of Visitor Tracking to Evaluate ‘Spirit of the Jaguar’ at Chester Zoo." 2007. International Zoo Educators Association. Web. 27 December 2012. <http://www.izea.net/education/journal%202007%20following%20visitors%20and%20what%20it%20tells%20us.pdf>. Garcia, Jason. "Orlando Sentinel." 2013 7 January. Disney reveals NextGen details with 'MyMagic+'. Web. 7 January 2013. <http://www.orlandosentinel.com/the-daily-disney/os-disney-reveals-next-gen-details-20130107,0,6117836.story>. Ridgway, Stephanie Clark, Margaret Livingston and Steven E. Smith. "Visitor Behavior In Zoo Exhibits With Underwater Viewing." Visitor Studies Today 2005: 1, 3-10. Web. 27 December 2012. <http://ag.arizona.edu/research/azalfalf/pdf_pubs/zoo_visitor_behavior.pdf>. Ross, Steve and Kathleen Wagner. "Visitor Behavior in Zoos and Aquariums." Connect: Association of Zoos & Aquariums May 2012: 42-43. Print. Yalowitz, Steven S. and Kerry Bronnenkant. "Timing and Tracking: Unlocking Visitor Behavior." Visitor Studies 12.1 (2009): 47-64. Web. 2012 27 December. <http://www.tandfonline.com/doi/pdf/10.1080/10645570902769134>. I dropped my notebook to the floor and screamed, “Stop! Don’t touch this exhibit until you develop a master plan!” I didn’t really do that. But I wanted to. What I did do was explain the importance of master planning. Master plans are essential to the long-term success of zoos and aquariums. They are tools for exploring and pinpointing issues. They are compasses to keep your staff on track. They are road maps for the future. But why, you ask. Why do we master plan? To answer the why, let’s look at the how. 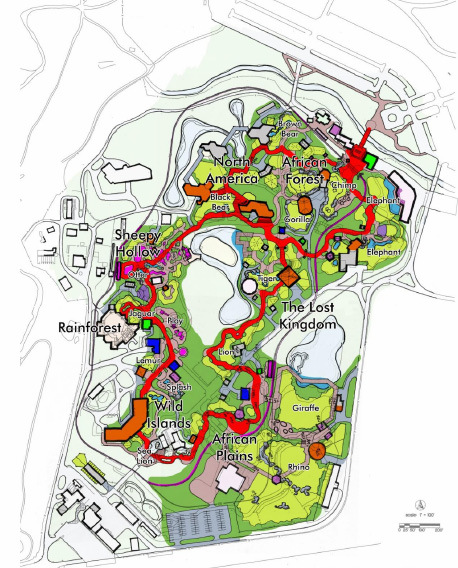 Generally, master plans are led and completed by zoo designers, and should include three parts: Analysis, Product Development and Implementation Planning. Each phase sets the stage for the next. In Analysis, we look at as many aspects of the park as possible, from your market and penetration to building condition. We pour over visitor surveys, attendance and revenue records. We inspect each exhibit and every building. We talk to staff from maintenance to keepers to administrators. We gather and analyze, zeroing in on things that you’re doing well and things that are issues. At the end of Analysis, we create a set of overriding Goals and Strategies for the extent of the master plan. The Goals are big. Increase attendance. Become world leaders in conservation. Educate our guests. The Strategies are much more specific—and in direct response to the Analysis. For example, if our goal is to create a financially sustainable organization, some strategies may include adding a new dining facility, increasing appeal of special events rental facilities, or creating budget-friendly new attractions. These Goals and Strategies inform and guide the Product Development process; they pinpoint specific tasks to be achieved, specific projects to be created. And in the Product Development stage, we delve into these projects. We brainstorm and explore multiple options for projects—creating many more ideas than what we could feasibly achieve in the master plan period. With these options in hand, we systematically evaluate each through the filter of the master plan goals—which often includes market testing. At the end of the Product Development phase, we’ll have a list of selected projects with conceptual storylines, plans, sketches, imagery and rough estimates. With these projects defined, we finish the master plan by completing an Implementation plan. This phase allows us to understand ‘how’ to get these projects instated. We create a phasing plan—when will each project be rolled out?—and a funding plan—how much capital will the zoo need to raise by what dates? Finally, we create illustrative site plans defining what the zoo will look like at determined intervals (ie every 1, 3, or 5 years). At the end, the zoo will walk away with a comprehensive plan to achieve specific goals over a set timeline. Generally, master plans plan 10-15 years out. Of course, things come up and even the best laid plans get waylaid. These surprises are exactly why master plans are so important. Because we spent so much time creating the guiding Goals and Strategies, any new issue that comes up should be tackled through the same lenses as the planned projects. Of course, Goals and Strategies may be adjusted over the years, but if the zoo finds their strategic outlook has changed dramatically from the master plan…it’s time to master plan again! “The Master Plan gave us direction to accomplish these goals and puts us on the path to creating a more enjoyable, interactive and rich experience for the future,” said Stuart Strahl, director of Brookfield Zoo. Finally, master plans are critical for zoos to move forward—logistically. Through a master plan, zoos have specific projects to show off, to fundraise for. The master plan provides essential visual and verbal descriptions that get the market excited and motivated to give. Not only that, the master plan is a concise definition of who the zoo is (brand today), and where they want to go (brand tomorrow). It’s a great handbook for employees, and a wonderful platform for marketing. If your zoo doesn't have a master plan, or its master plan is out of date, the best time to start a new one is right now. The Minnesota Zoo, located in the southern suburbs of the Twin Cities, has long been on my list of must-sees, but especially so after the opening of the much lauded Russia’s Grizzly Coast four years ago. Of course I would find myself flying to the Great White North a few days before Thanksgiving—what better time of year to visit? Luckily for me, it was a beautiful, sunny, warm day with just enough visitors to make it interesting. The Zoo is located near a wildlife preserve and surrounded by residential neighborhood. The grounds are beautifully wooded with several lakes and wetlands. Most of the exhibits are new or recently renovated, with those untouched slated for improvements soon. The Zoo is large enough to fill most of a day (I saw everything except the Farm in a leisurely 5 hours), and is well-organized, avoiding large stretches of nothing to see or having to backtrack. But what makes the Zoo so interesting to me is its understanding of self. It’s a very self-aware Zoo. You may think my next statement is obvious, but its important. The Zoo is located in Minnesota. Snowy, cold Minnesota. This is not balmy Florida. This is not even temperate St. Louis. This is a very specific climate. Cold in the winter. Not as cold in the summer. Why is this important? Let me tell you. First, climate dictates animal collection. Many zoos try to shoe-horn species into their collection based on popularity with their market, such as African mammals in Canada or polar bears in the Bahamas. While this can be done successfully, it is very limiting in that it restricts animal access to outdoors. This in turn either increases project costs by creating massive indoor exhibits or creates distinct seasonality for the exhibits. Minnesota Zoo made the decision to feature climatically appropriate species along their outdoor trails. This means the animals will be active and happy year-round, making for a great experience for those hearty enough to brave the exterior exhibits in winter. The Zoo has invested in some wonderful indoor exhibits as well--which leads to my next point: Climate dictates organization. Minnesota Zoo realized that in order to attract any guests at all during the long cold winter, many exhibits would need to be indoors. Instead of scattering those indoor exhibits along a main path throughout the zoo, the indoor exhibits are clustered around the main entry. This allows guests to take off their winter coats, drop them into a locker, if they so choose, and spend several hours enjoying the zoo in a comfortable environment. What’s more, the indoor exhibits are genuinely good. The Tropics Trail features rainforests from around the globe allowing a broad range of mixed species exhibits-- including a beautiful reef tank featuring the unusual zebra shark and--when I was there--the amazingly popular tank-cleaning diver. As for Russia’s Grizzly Coast, it is genuinely engaging, featuring many charismatic species including brown bears, sea otters, tigers and leopards in beautiful and complex exhibits. The rather simple tiger exhibit is huge, and even when the tiger is far in the distance, can easily be seen due to the slope of the exhibit and the elevated, center viewing platform (although I was there when the foliage was dormant, so my experience may be different from others'). Throughout, the Zoo thoughtfully designed places to encourage up-close viewing of the animals. At the small, but well-executed African penguin exhibit, the exhibit setting extends into the guest space via climbing rocks to allow kids to get face to face with the penguins. The bear exhibits have dens with windows--and they actually use them. The cat exhibits are long and skinny so they can be seen even when fully asleep on a rock. Of course, I am obligated to find some faults. Overall, my biggest concern was with the interpretives. They were too heavy with text and generally, not integrated into the thematic story of the experience. They were in no way terrible; they simply were not up to the level of design of the physical habitats. My other concern was revenue locations. This may be a result of visiting during winter when many stands are closed for the season, but I found myself wishing for a nice place to stop and have lunch at the halfway point near the Grain Elevator. Perhaps a sit down restaurant overlooking one of the lovely spacious exhibits of the Northern Trail, or adjacent to one of the Tiger exhibits would work well. At the main entry building, the zoo restaurant (a food court) is directly next to another snack stand, Penguin Café, which seemed to me would hurt profits. I could be wrong though. And of course, the retail shop is in the wrong spot entirely—located between food court and Penguin Café. To maximize profits, always locate near the entry--and encourage guests to exit through the gift shop. Overall, the Minnesota Zoo is a great zoo and highly recommended. If you live nearby, remember the zoo is winter friendly, so go visit in January. I swear you’ll be just fine. Historic Buildings: Obstacles or Opportunities? By Russell Ploutz Historic zoo buildings are a growing dilemma for zoos, especially older zoos. The historic buildings don’t meet current design standards for animals, but laws require preserve of culturally significant structures. Are these buildings limiting the potential of zoos or seeds for innovation? 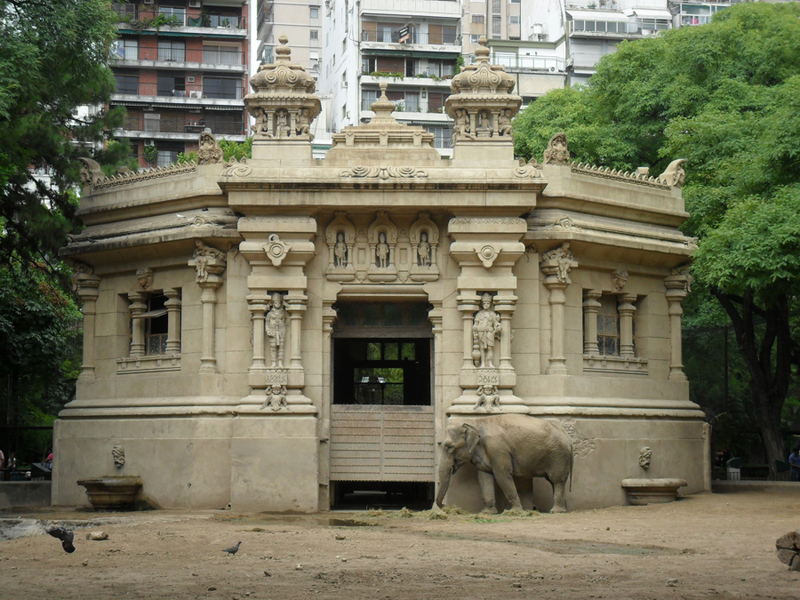 The subject of preservation of historic buildings has been on my mind lately after talking with a student researching education at the Buenos Aires Zoo. Many of the zoo’s design challenges are complicated by the numerous historical structures, monuments and paths designated for preservation in the 124 year old zoo. In thinking about the challenges the historical buildings present the zoo, I considered the historic buildings as an opportunity instead of a problem. The first thought I had was a general design strategy that inverts the current spaces for animals and visitors. The concept designates the buildings and areas for preservation into spaces for visitors while the current people spaces are redesigned for animals. The existing visitor area is freed for animals and exhibits with space for animal enclosures and new support buildings. 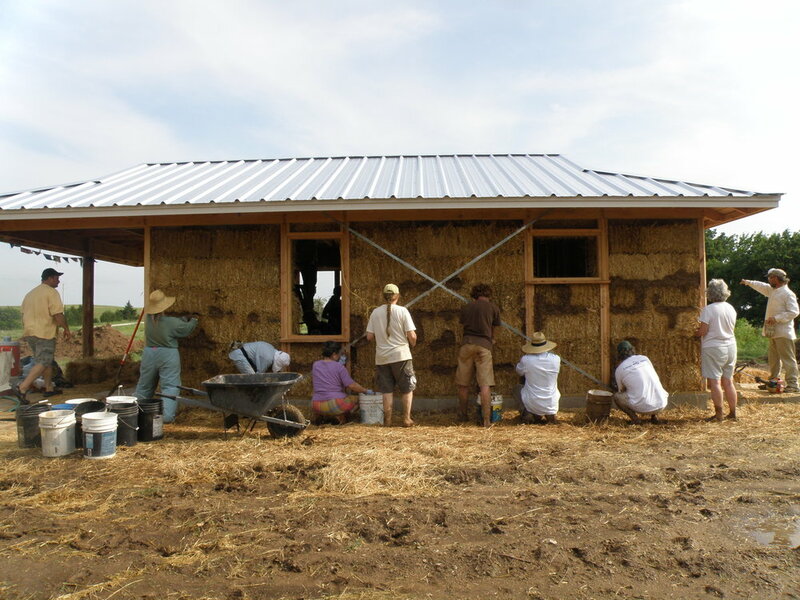 Since the buildings are easier to renovate for visitor uses than animals, the design strategy may be a more feasible solution than renovating the buildings for new animal standards. By using the inversion design strategy, the buildings are integrated into the new exhibit environment. As visitors move through the exhibits, the buildings could be used for viewing windows into the exhibits. The buildings could also tell cultural stories and stimulate visitor’s recall of prior knowledge. Additionally, the interior space could be used for large educational exhibits and interpretives. Reusing historic buildings is not a new concept for zoos. At the Toledo Zoo, the original feline house was reused as a new restaurant. In St. Louis, the zoo converted the historic elephant house into new exhibition space. In addition to adapting spaces for people, the Kansas City Zoo converted a historic building originally used for large mammals to a building for smaller rainforest animals. Zoos should not feel required to preserve historic buildings due to government requirements, but zoos should want to share their history. Even though the buildings and landscapes may represent memories zoos want to forget, they are a part of their history and our cultural attitudes toward animals. Zoos could use the buildings to tell stories about improving conservation efforts and society’s evolving attitudes toward wildlife. Not only do structures need new life, but what about the landscapes? How can they be reimagined to contribute to zoo’s conservation efforts? After all, zoos are primarily outdoor environments. With some innovative thinking historic buildings can gain new life. Ultimately, if the building meets the needs of animals and visitors learn from the experience, is it not a successful exhibit? To understand how to apply the nine principles and fifty-three guidelines, I designed seven example projects. The projects illustrate how the design guidelines coalesce to create a cognitive experience and shape the exhibit form. For each of the example projects, illustrations and narratives explain how the exhibit engages and facilitates visitor’s learning processes following the design guidelines. Projects like Who is Right?, Help the Otters, and Two Waterways describe exhibit concepts and possible design strategies for using the guidelines such as comparison, decision-making and action-taking. One example project, Four Lives, centers on the activity of role playing and decision-making. First, visitors choose to be a farmer, poacher or ranger and throughout the exhibit experience situations and information specific to their character. In some situations they make decisions applying their prior knowledge, information presented in the exhibit and their emotions by reacting to the situation affecting their character. The exhibit facilitates the decision-making process by stimulating recall with design elements, guiding understanding with trained actors and engaging advanced cognitive processes. To enable their application of knowledge, the visitor circulation is a network of pathways where at each junction visitors choose a path linked to their decision. The chosen path leads visitors to a new situation embodying the consequence of their decision, providing feedback on their application of learning. I compiled the example projects, guidelines and background information into an interactive digital document. The interactivity reflects the complexity and interconnected process of learning by providing hyperlinks to related information using a navigation bar. The bar helps the reader navigate the complexity and make connections between related concepts, guidelines and example projects. Overall, the design manual presents a vision of increased visitor engagement and greater influence of exhibits on learning. It demonstrates how the program, exhibit organization and spatial characteristics can affect visitor’s learning processes. Additionally, the document raises questions about the design approach and extra design processes needed in the design of zoo exhibits for learning. Ultimately, the guidelines have the potential to provide new visitor experiences and design strategies which engage learning processes, helping to achieve zoo’s goal of conservation. If you are interested in the other example projects, learning more about cognitive processes, and how exhibits can facilitate learning feel free to contact me at russell.ploutz@gmail.com. By Russell Ploutz After recalling prior knowledge and preparing visitors for learning, the exhibit and included activities can facilitate learning processes by employing the following principles to improve understanding. 5. Grasp - capitalize on concrete experiences. The Grasp principle describes how exhibits can most effectively leverage the unique experiences people come to zoos for - personal experiences with animals and nature. Exhibits can use concrete experience to help visitors understand abstract concepts such as ecological processes, critical to understanding zoo’s messages. The principle describes how to coordinate the presentation of abstract concepts with concrete experiences and vice versa. 6. Guide - facilitate meaning-making. Exhibits can also assist visitors in understanding new information by guiding them in the meaning-making process. The Guide principle describes how exhibits can facilitate understanding with visitor activities and exhibit situations by stimulating additional cognitive processes. 7. Apply - reinforce learning with application. After understanding new information, exhibits can encourage visitors to use their new knowledge to reinforce the learning. By applying information in new situations visitor’s understanding strengthens with increased contextualization. The Apply principle describes design strategies for visitor activities and exhibit situations promoting application of learning. 8. Transfer – connect information to other situations. Similarly, the Transfer principle explains how learning is a continual process where people use information from previous experiences and in future ones - the learning experience is but one point in time. This principle explains how exhibits can embrace the dynamic process of learning by making connections to other situations outside of the immediate exhibit context. 9. Individual - facilitate different learning preferences. The Individual principle describes how the learning process is unique to different visitors. We each have personal preferences for learning and since we control what we engage in zoos, exhibits need to reach the largest audience possible by appeal to many different types of visitors. The principle explains how to employ our choice and control to increase understanding by designing for each of Gardner’s Multiple Intelligences. Learning is the process of transforming information into knowledge using cognitive processes - the “mental process that individuals undergo as they think, learn, and perform problem-solving and decision-making activities.” If humans use predictable processes during learning, how can zoo exhibits engage those processes to improve visitor learning? Insights from cognitive psychology provide guidance for how to facilitate human learning processes, creating fulfilling visitor experiences while achieving zoos’ mission of education. By researching the fundamentals of learning I developed a set of design guidelines for zoo exhibits which stimulate and facilitate visitor’s learning processes. I created the design guidelines by gathering professional zoo designer’s input, reviewing literature and personal findings resulting in a design manual for engaging cognitive processes. The manual contains three elements: background information synthesizing literature specific to zoo exhibit designers, design guidelines for engaging learning processes and, example projects I designed illustrating the application of the guidelines. Fifty-three design guidelines are grouped into nine principles addressing different aspects of learning. Each learning principle contains related guidelines and background information which ground the guidelines in scientific studies. Additionally, the principles contain methods and potential design strategies for employing the design guidelines. The first principles describe prerequisite cognitive processes to engage prior to transforming information into knowledge. Meeting these initial principles is critical because without their provision learning is unlikely to occur. 1. Identity - learning needs to fulfill our motivations. For learning to succeed in places like zoos where we control how and what we engage, we need to want to learn. The Identity principle builds on Falk’s work on Visitor Identities describing visitor’s motivations and needs. The principle explains how to fulfill each visitor’s Identity by productively satisfying their social and personal needs with learning opportunities. 2. Attention - we must engage the exhibit. Once visitors are motivated to engage in learning, then exhibits can assist visitors in focusing on learning content. For learning to occur, we must direct our attention in the exhibit to acquire information. The Attention principle describes how exhibit characteristics can direct visitor’s attention on learning content to engage the information. 3. Inform - we need to know how to engage. In addition to directing visitor’s attention on learning content, exhibits also need to inform visitors as to how they can engage in learning. If we do not know how to engage the exhibit, how can we learn from the exhibit? The Inform principle explains how exhibits can directly and indirectly notify visitors of learning opportunities. 4. Recall - we use prior knowledge with new information. Once visitors are prepared to learn the exhibit can facilitate one of the most critical aspects in learning, the recall of prior information and experiences. We use our past experiences to understand new information and situations through contextualization. This principle explains how exhibit elements and design characteristics can evoke past memories helping visitors understand new information. My last day at the conference. I'll admit I was up too late sharing cocktails with colleagues the night before, and the intensity of the conference was starting to catch up with me. But I persisted--and managed to squeeze in one last session before running to the airport and to sweet, sweet sleep. The session was a humdinger--indirectly addressing the ever-present question: Why do zoos matter? Small zoos (in terms of operating budget) face bigger challenges than their larger sisters. Smaller budgets, more intense competition, smaller markets, less respect and higher scrutiny. But in the face of these challenges, many small zoos still include conservation programs as their highest priorities. In fact, some might say, due to these challenges--lack of respect and increased scrutiny, to be specific--small zoos MUST prioritize conservation. Gladys Porter Zoo, Brownsville, TX (I had to look it up) is one such institution who's taken conservation programming to the next level, despite their size. For over 20 years, the Zoo has not only supported, but created and run a Kemp's Ridley sea turtle program in Mexico. The zoo employs one staff member full time to run the program, in addition to a second staffer dedicated to all other conservation programs. The Zoo earmarks $650,000 every year for this single program, which over the span of the program, has helped protect over 70,000 nests and 4.5 million hatchlings. Dallas World Aquarium similarly helped found the Amazon Rescue Center, a private-public partnership in Peru, principally focusing on Amazonian Manatee conservation. The Aquarium raises over $400,000 annually to support their work along with several other Central and South American conservation programs. Dr. Luis Sigler, senior conservation biologist, believes conservation programs should be run like businesses in order for them to thrive. So, how can a small zoo or aquarium be expected to create and fund a great project if they find themselves scraping for pennies as it is? Steve Burns, director of ZooBoise, explained how they managed it. Slowly. Starting with a single conservation parking meter, ZooBoise raised $1500 annually. From there, they added a $0.25 conservation fee onto admission. The fee raised $57,000, and the Zoo recorded two complaints. So they raised it again--by a dime, and increased their conservation collection by $23,000. Now they had the ball rolling. They added a series of fee-based 'special experiences,' including sloth bear feeding, with all of the funds going directly to conservation programs. Currently, they require every new capital campaign to include an additional 10% to go directly to conservation. So that new otter exhibit with a $500,000 price tag now requires $550,000 to be raised. 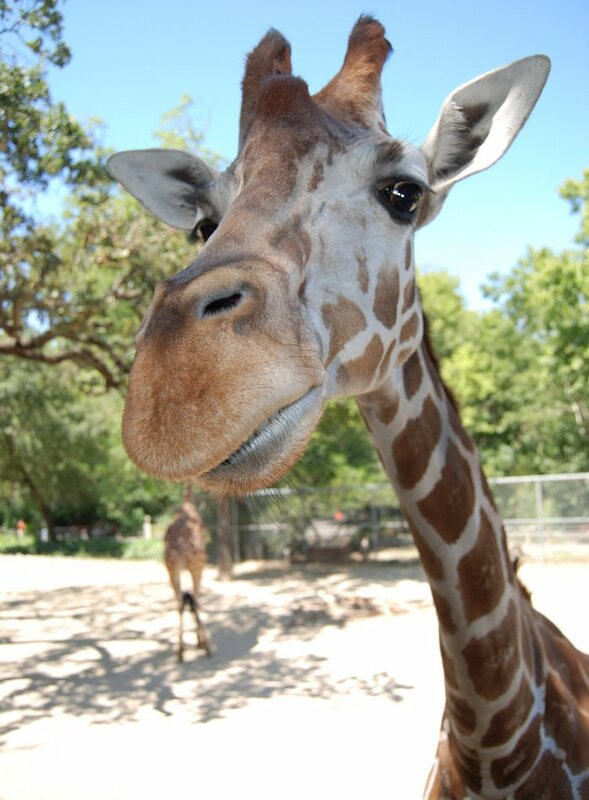 ZooBoise now expects to raise over $200,000 annually for conservation. What does your small zoo or aquarium do for conservation? And how do we let our public know how much good they are doing by supporting zoos? Voice your opinion! After a wonderful Icebreaker on Monday night (Sept. 10) at the Arizona Science Center (where Dave and I survived a hurricane and a volcano eruption), the Tuesday morning general session officially kicked-off the conference. During this session, we were treated to a rousing presentation by Marc Kielburger, co-founder of Free the Children, an international human rights organization based in Canada. Free the Children is an inspiring organization in its own right--empowering children to help other children across the globe. The organization was originally created by Marc's younger brother after he traveled to South Asia to investigate child labor--when he was 12! But, that's only part of why Marc was at AZA 2012. Free the Children and sister organization, Me to We, have figured out how to motivate children, especially teenagers, to not only become interested in world issues, but to become activists for their favorite causes. A challenge we in the zoo and aquarium industry are constantly facing (with kids, sure, but also with adults!). Marc described their philosophy with 5 key bullet points. Everyone has something they are good at, whether its baking cupcakes, drawing unicorns, or selling tires. Identifying your strength is the first step to becoming an activist. Getting kids involved means helping them identify their own gift. It also means helping them understand how they can apply their gift to support an issue that is dear to them. Once that connection is realized, anyone, including children, can confidently take action to initiate change. And according to Kielburger, activism can be as small as a bake sale. Kielburger explained a ‘minga’ as a coming together of many to the benefit of all. It is a Chilean word with, ironically, no direct equivalent in the English language. He described the scene when he first experienced a minga—after the village elder woman yelled the word across a canyon in the Andes and a congregation of strangers from the surrounding hills showed up to help out—without explanation, without question. This feeling of support, of community is something that most of us long for—including our kids. This generation, more so than any in recent memory, are aching to be a part of something larger than themselves. To do for others in need, even as many themselves are struggling. Remember the saying, “If you could walk a mile in their shoes”? First-hand experience is the absolute best way to understand an issue. In order to inspire, to motivate, kids need to participate, to experience, to see with their own eyes. Me to We provides these experiences for young people, bringing them to remote villages in need of help--taking children to Africa to build schoolhouses, or carry jugs of water two miles each way so mothers can spend a day with their children. Authentic, in-the-field experiences that really enforce what they've learned at home. Kielburger believes these are life-altering, formative experiences that create fundamental and lifelong activists. This one’s simple: keep the activism where the kids are…online. Kielburger stressed that kids don’t read email anymore. They live on Facebook, on Twitter, on Tumblr. If you want to communicate with them, utilize their favorite forms, and reach them in their own language. So the question is now…how do we translate these bullet points into campaigns that zoos and aquariums can use? Can we link these to the physical design of a place, or are we moving more into a place where educational outreach and programming is the only means to create activists? Personally, I think the physical zoo experience is the foundation for creating activists. The first step, the platform from which we jump off—not only with kids but with adults too. Get their attention, provide the base info, then provide a means to take action. The zoo itself is the means to bring issues to the table. To make people aware. Encouraging them to take action will require more than a physical exhibit. It will require partnerships and programming. It also requires taking chances and getting creative. Congratulations blog-friend, Erin Hendon! Wear this T with pride! It's simple! Just Like our Facebook post (or page) in the next few days, and you'll be entered to win this fabulous DesigningZoos.com exclusive t-shirt! Ladies size L (runs a little small, so more like M). Wear it with pride, but be prepared for attention--and lots of questions! Especially if you are a man. Enter by Liking the Facebook post here. A while back, I posited (and yes, I've recently been watching a lot of Fringe) the future of science based institutions is a re-integration of the currently separated disciplines into a 'one-stop shop' of education and recreation. Here, guests will learn holistically about an ecosystem or geographical place in a fully immersive and hands-on atmosphere. I pointed to a small institution, Durham Museum of Life and Science, as an example. Today, I add another small institution to the list: Bradenton's South Florida Museum. This institution focuses specifically on Bradenton and the greater Manatee County area, looking at its natural (all the way back to the early Cenozoic era--65 million years ago) and cultural history. The Museum is broken into essentially three distinct sections (to me): the planetarium, the museum, and the aquarium. Bishop Planetarium is simply that--a traditional planetarium with 3-4 shows daily. The museum houses an array of exhibit halls with interesting artifacts and dioramas including a Mastodon skeleton, Megalodon's jaws, pottery and arrow heads, gynecological instruments (yes, its true! ), antique cameras, and a Model T. Believe me, it all makes sense when you visit. Finally, the Parker aquarium is famously home to the world's oldest manatee, Snooty, and not much else. 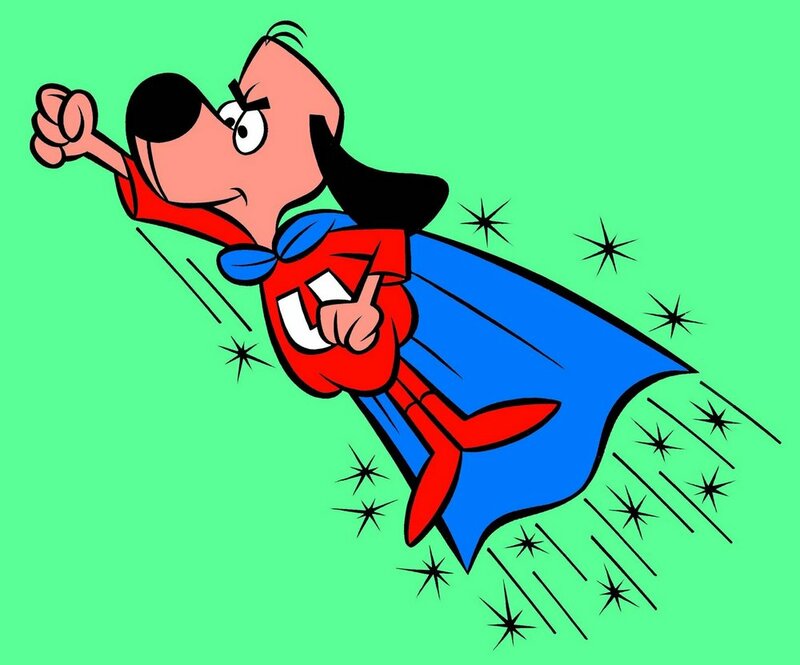 Of course, for me, Snooty was the draw. I was skeptical of a manatee aquarium with underwater viewing from an outdoor corridor along a space called the Spanish Plaza (which prominently features a statue of local hero, Hernando DeSoto, upon his steed), but the tank was crystal clear and nicely designed. Because of the proximity to the plaza, the viewing windows did have some glare, but the Museum minimized this with tasteful shade curtains. On the upper level, guests can watch the manatees munch on lettuce and maybe catch one of the four daily aquarist talks. During these, Snooty shows off by nearly crawling out of the tank for a piece of sweet potato or carrot. He's lived his entire life in captivity and seems quite pleased to be hand-fed. In fact, his keeper explained, he will only eat food from the keepers--he refuses to graze in the tank like his cohorts. Currently, Snooty shares his home with two male adolescents who are temporarily housed at the Museum. Both are rescue animals and have very limited interaction with the aquarium staff whose intent is to return them to the wild once they reach their optimum weight of 800 pounds. Each boy has about 100 pounds more to gain. The manatee exhibit is themed as a marina, complete with docks and a mural. Its nothing special, but better than expected, and it seems the animals have plenty of space and choice--an off-exhibit pool is accessible to them. Beyond the manatees, the aquarium literally has four small home-sized tanks with both fresh and saltwater critters. One tank is open topped and overflows to a lower tank with limited touch opportunities with sea stars and urchins. Additionally, there is a large and quite beautiful diorama with a hammerhead shark, fish, a mother manatee and her baby. The Museum is at least an hour's experience without the planetarium show. I did enjoy my visit, and could see myself returning to explore more of the local history. The Museum is filled with information on lots of well designed interpretive panel found throughout. One day, when I'm looking for a good read on Bradenton, I'll be sure to come back. And Snooty, at 64, is still pretty cute. South Florida Museum has plans for expansion in the coming years, and are gearing up for a capital campaign. Follow us for updates! Once again we are reminded of the many shades of grey we face regularly in the zoo and aquarium industry as a decision on the future of elephants at the LA Zoo was handed down from the CA Superior Court last week. The suit, brought against the zoo by a well-meaning real estate agent, Aaron Leider, demanded that elephants be banned from the zoo and relocated to a sanctuary. Judge John Segal ultimately ruled that elephants may remain at the zoo, but the zoo must essentially clean up its act, stating, among other things, that the zoo must ban negative re-enforcement tools, such as bull hooks and electroshock. However, the zoo discontinued use of these tools years ago. Aside from the obvious question (who is this judge to assert whether or not an elephant is happy?) the lawsuit brings up questions with which we are often faced—and are rarely brave enough to answer. Is captivity ever good enough? Should animals only be in the wild? How much interaction with humans should captive animals have? To me, there are no perfect answers. But, we need to remind ourselves that the zoo industry is constantly evolving—an evolution that is sometimes slow, but on the whole clearly visible. As we continue to understand the needs and psychologies of animals, both in and out of captivity—as any scientist worth his or her salt will tell you, they are different!—captive environments and lifestyles will change. Nothing in life is completely static. I am not afraid of these confrontations, of these questions, of these indignations. They push us to examine. They push us to improve. And maybe one day we will no longer have the need for zoos and aquariums, but at the rate we as a species are destroying habitat, captive environments may be the only sanctuaries left.